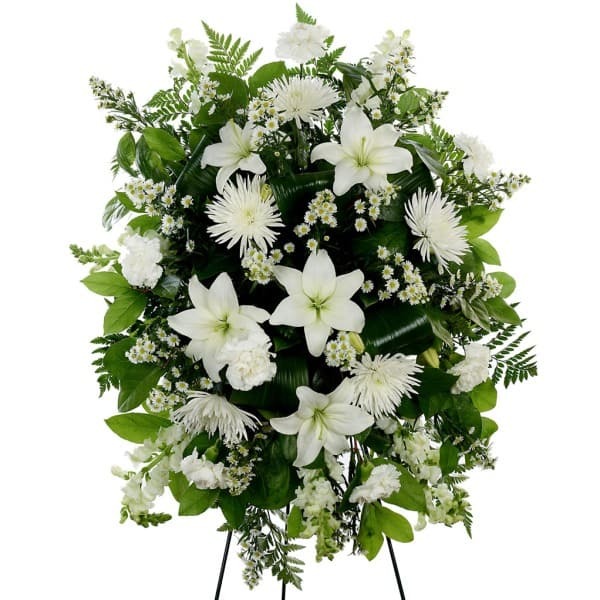 Convey your thoughts of sympathy and remembrance with this elegant white floral spray. 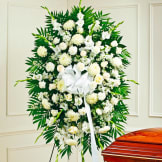 • Arrangement includes all white Monte Casino blooms and snapdragons on a self-standing easel. 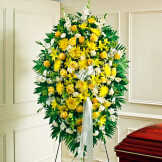 • An appropriate gift for family, friends, and business associates to send directly to the funeral home. 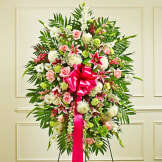 The picture is lovely but when you see the flowers in person, it is truly so much more beautiful. The sympathy store did an amazing job honoring the memory of my mother-inlaw.